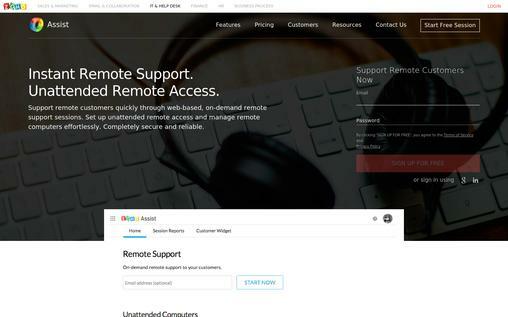 Remote Support Software is utilized as an operating system or software, which allows you to remotely connect and control a system from another computer. Technically, the controller is called the Client and the system, which is controlled, can be coined as Host. The Client can take over the mouse and keyboard of Host and access it as its own. Currently, the Remote Support Software usage range from personal purposes to large corporate. Large corporates use these software’s to resolve various software related issues at their clients’ ends. It can also be utilized to fix the system related problems within an organization, which has its offices at different locations. These platforms are extremely useful and save a lot of logistics and communication cost. However, a trusted Remote Support Software shall be used to avoid any malware and hacking issues. You must be dealing with the difficulty associated with the website of your customer support agency. Right? Zoho lets you set up remote access and quickly help the customers through remote support sessions in a secure and reliable environment. The software, which is also available on Apple iStore and Android Mobile platforms, lets you configure any computer and help you gain unattended access of the same without any time or place limitations. It is a two-way platform, which does not require any installation. While the software is guarded by standard security measures, it can run across most of the proxies or firewalls. Easy to Handle, instant chat, navigation across multiple monitors. Computers can be configured for Unattended Mode Access in any network; the network can be internal or external. Files of any size can be transferred in unattended mode. Can get again connected to the session even after the reboot. Light on System – no installation on a computer is needed, the software can be accessed by just logging into your account on the web. Screen sharing and file sharing can work both ways, where your customer can also share your screen and files and you can access his files and screen. Compatible with most of the firewalls and antivirus software. Quick Access to browser extensions, apps, desktop plug-ins, and embedded customer widgets. 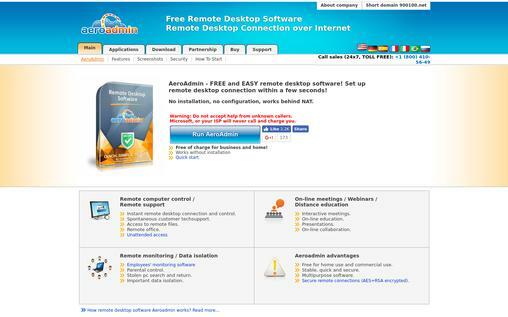 Price: Monthly: $24 for Remote Support of One Technician Seat with no unattended access. AeroAdmin requires download and run of a just 2 MB executive file to generate a remote desktop connection. It neither requires installation nor configuration on the system. Apart from just working as a Remote Desktop Software, Aeroadmin also provides some additional features, which make it distinct from the similar offerings. It enables online meetings and equips the user with monitoring capabilities such as – Parental Control, Employee Monitoring, and Stolen PC Search and Return etc. It can enable several parallel incoming and outgoing connections, which let a Client control and view several Hosts as well as a Host monitored by several clients. AeroAdmin’s automatic detection of network configuration helps you to establish stable connections across different LAN. Highly secured data encryption with AES and RSA algorithms, which are even used in digital signatures of banks and government systems. Enables control of the file system of the remote computer with a right to copy the file from/to remote computer. Flexible access with several administration authorization options. Multilingual interface, which supports more than 15 languages. 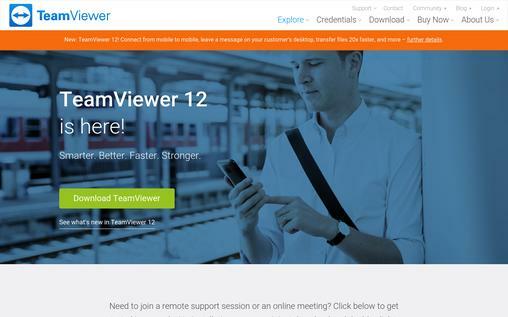 TeamViewer is one of the most popular Remote Desktop Software. It just needed to be downloaded and with a double-click, it can be launched on the system. The software runs across the platforms with Computer to Computer, Computer to Mobile, Mobile to Computer as well as Mobile to Mobile connections. It is easy to understand, has maximum compatibility, and does not require any configuration. Automatic discovery with computers and contacts management. Monitoring check and alerts regarding disk space, antivirus, Windows firewall and updates. Enables Session recording, High-definition VoIP, and Remote Audio Visuals. Compatibility across all operating systems with direct control and multiple connections. options of Black Screen when you don’t want the users to know about your workings. Multi-Monitor support, which enables you to watch multiple remote screens on your local screens. Effective communication through screen sharing, access control, video calls, and rights management in meetings. Integrations – Use API to integrate TeamViewer into your applications. Price: No monthly fees with a one-time license fee of INR31,400 or ~$499.00 for business users. 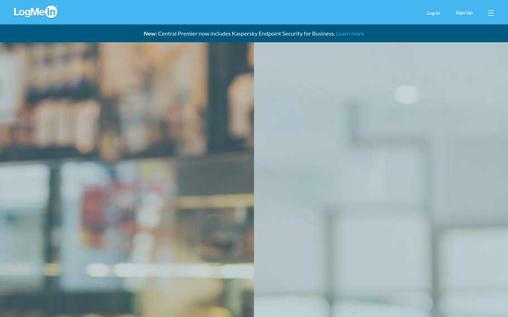 Bomgar enables encrypted outbound connections for remote access, which does not require any firewall or VPN changes. 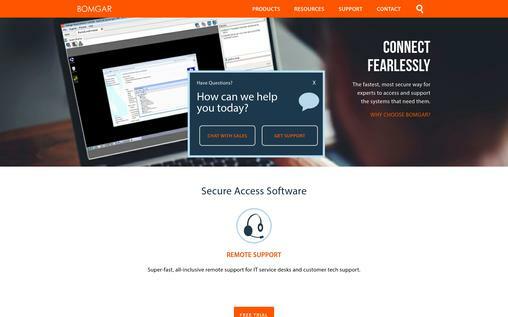 Its rigorous authentication process makes Bomgar one of the most secure Remote Desktop Software. Bomgar helps you establish remote connections across various operating systems and is also compatible with iOS and Android. It is easy to connect and is reliable due to the capability of initiating a remote desktop connection through more than 20 ways. Authentication can be managed, through multi-factor authentication, which may be defined by more than 50 permissions for users and capture a detailed log for every remote connection. Enables integration to your systems, which connects Bomgar to the service desk, CRM, multi-factor solutions, and system management etc. Monitoring of privileged access to critical systems. IT Service Desk and Customer Tech Support. Enables Help Desks and IT Organizations to offer ad hoc remote supports. Price: Bomgar offers four plans Connect, Cloud, Term Appliance, and Owned Appliance with Connect starting from $49.00 per month. LogMeIn provides a streamlined access to your files and applications across the platforms. It enables reliable remote access for individuals, businesses, and professionals. With its categorized solutions, LogMeIn helps the clients to monitor their day to day business activities, support their customers. It has unique Rescue Lens Interactive Video Support, which allows the technicians to see the happenings at customers’ end, in exactly the same manner. Remote access with password management. Enables Mobile Engagement and Integration. Provides 1 TB File Storage. Unlimited Users and Multi-Monitor Display. Computer Grouping, which makes a group of computers based on locations, functions, access, and permissions etc. Computer Health Monitoring, which provides a complete view of each LogMeIn host’s critical issues and updates. Rescue Lens Interactive Video Support and Customization. Price: The software’s basic Pro plan for Individuals starts at $299.00 per year for access up to two computers. 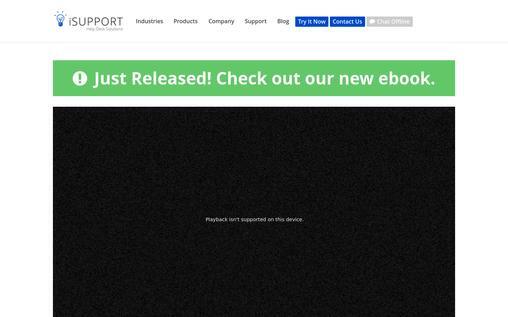 iSUPPORT provides a full-blown service desk to its customers and its solutions are primarily focused on catering the business needs. The software mainly captures the needs of Finance, Education, Government, and Healthcare domains. The software can be used by configuring customized forms, workflows, integration or according to complex business rules or even almost without any configuration. Enables automation in changing the business environment to resolve problems. Customized solutions according to business activities help improvement in your business. Blends multiple channels of service delivery. Everything in iSUPPORT is configurable to your system including alerts and notifications. Integration with other Remote Desktop Software such as Bomgar Remote Support. Software, Citrix GoToAssist, Microsoft Office Outlook Calendar, etc. 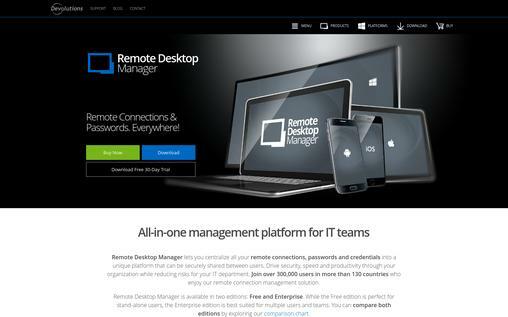 Remote Desktop Manager can be considered as an all-in-one program for IT professionals. The software lets you store all your connections, passwords, and authentication data in one place, which can be securely shared between the users. Remote Desktop Manager needs to be downloaded to a system. With more than 60 add-ons, the software helps the users to increase productivity and efficiency as well. Can securely connect to more than 25 VPN types. Password Management and protection of sensitive data. U. S. Federal Government approved encryption for better security. Easy to deploy and use; can be even deployed from a zip file. Integration with other platforms with tools to execute macro or script files. Price: 1 to 2 user license of Type RDM-S1 for 1 Year Maintenance – $149.99. To access SimpleHelp you need to download and run it on your system. It is available in several languages and can be used without any rental or hidden costs. You can take complete control of your customers’ desktop and help them to fix computers from anywhere. 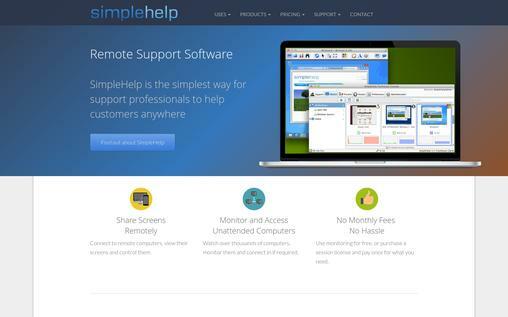 With the effortless sharing of screens online, SimpleHelp also supports remote presentations. It has a firewall-friendly setup with no compromise on the security front. Support Remote Users through multiple and simultaneous remote sessions. Helps in creating technical groups. Enable to block users while you are working. Monitor, manage and access remote computers and continuously gather metrics of thousands of systems at a time. Secured by 4096-bit RSA and 256-bit AES. Two factors based authentication enable for higher security and HIPAA compliance. Price: per session price for 1 individual valid for 12 months – $320.00. 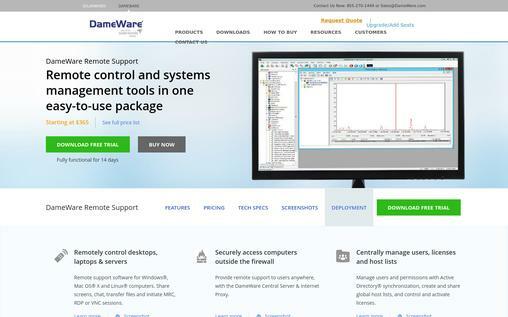 Unlike most of the other Remote Desktop Software, DameWare can be accessed only after download and installation on the system. It requires a Windows workstation or server with a CPU speed of 1 GHz. DameWare occupies 20 MB of RAM and 150 MB of Hard Drive. Although it installs on Windows operating systems, remote sessions, through DameWare, can be established across the operating systems. Support Windows, Mac OS, X, and Linux systems and can initiate VNC, RDP, or MRC sessions. Can be used outside the firewall through Dameware Central Server and Internet Proxy. Through the mobile app, you can provide support with your Android or iOS device. Support remote computers through Intel vPro with AMT. Price: One technician license with unlimited end-user remote machines – $365.00. RealVNC remote access software is designed to cater to the needs of a wide range of industries and organizations. To use it, you need to download and install it on your system. While RealVNC is free for home users, it is chargeable for Professional and Enterprises. 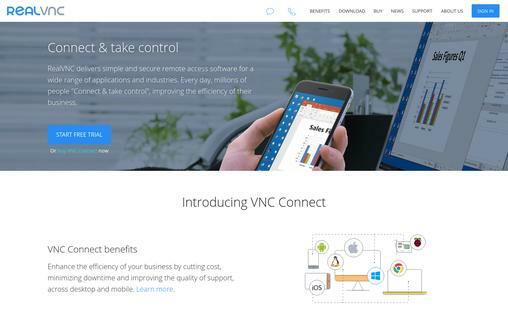 With its ‘Connect and Take Control’ phenomenon, RealVNC is one of the most flexible and secure Remote Desktop Software. Secured with 128 to 256 bits session encryption. Seamlessly connect the devices either directly or through the cloud. Prevents risks associated with on-site services and systems failure. Increase uptime by faster problem resolution. Lesser training and documentation required – easy to access. Price: $40.00 per remote computer per year. In today’s scenario, where everything is connected to the internet and a quick resolution of issues, faster fixation of bugs are need of the hour, Remote Desktop Software plays a crucial role in the same. On one side, they save on logistics and on-site costs; on the other side the quality is not compromised. Hence, these software’s can be used as an effective tool to enhance the productivity and profitability of any business or industry. What if we provide you a fastest, smartest, affordable & effective email marketing platform to deal with all the promotional chaos in the better way? Come on!! Let’s get started with MailGet Bolt.